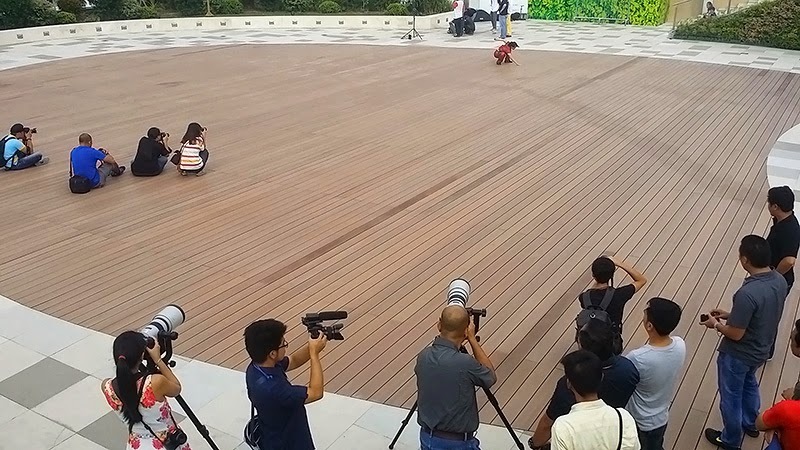 Romy Ocon delivers a short lecture on his favorite techniques. 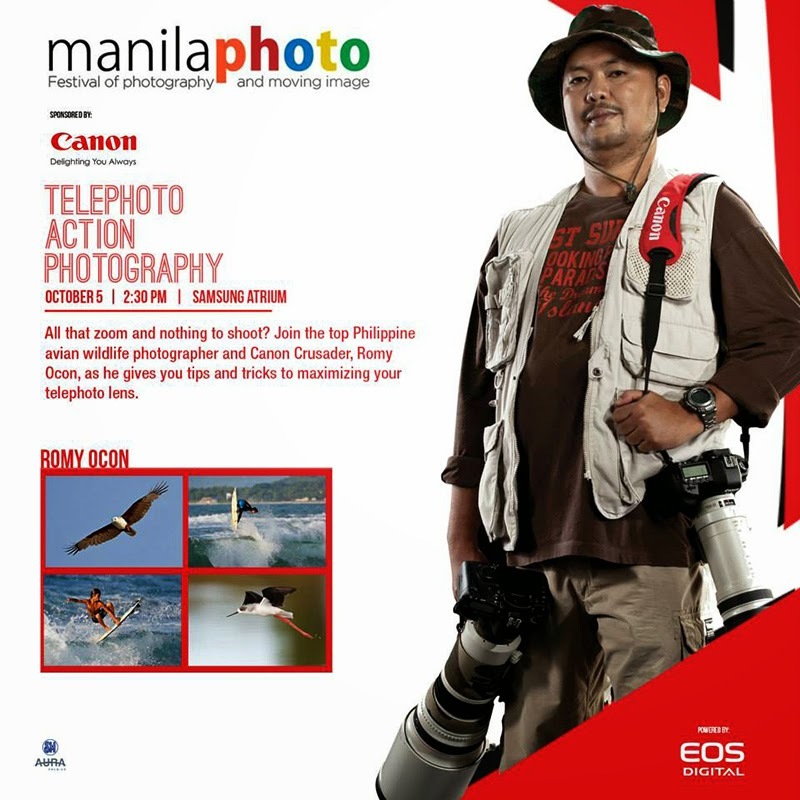 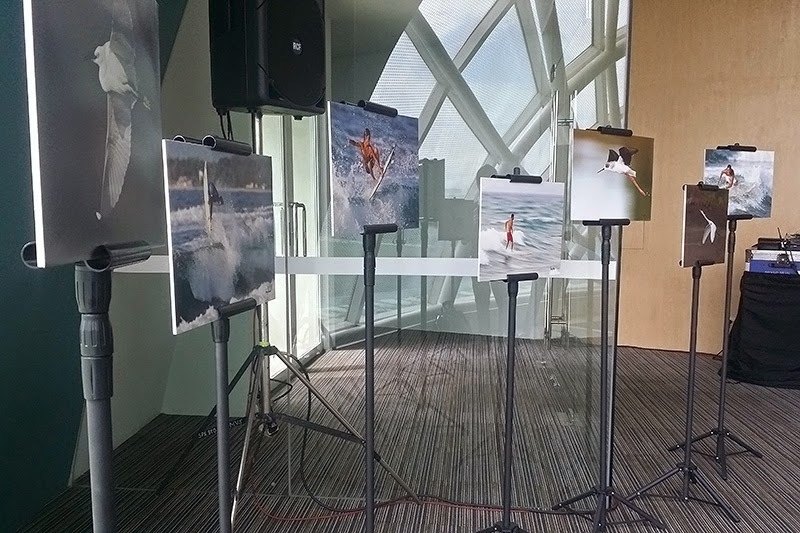 13"x19" prints of Romy's telephoto action images - birds in flight and surfing - are displayed during the workshop. 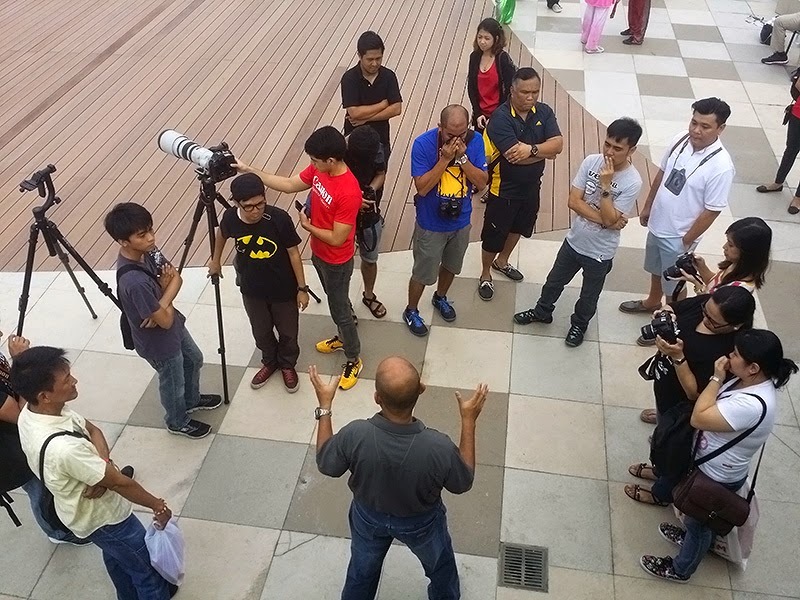 Romy gives tips to the workshop participants before a shoot of wushu performers. 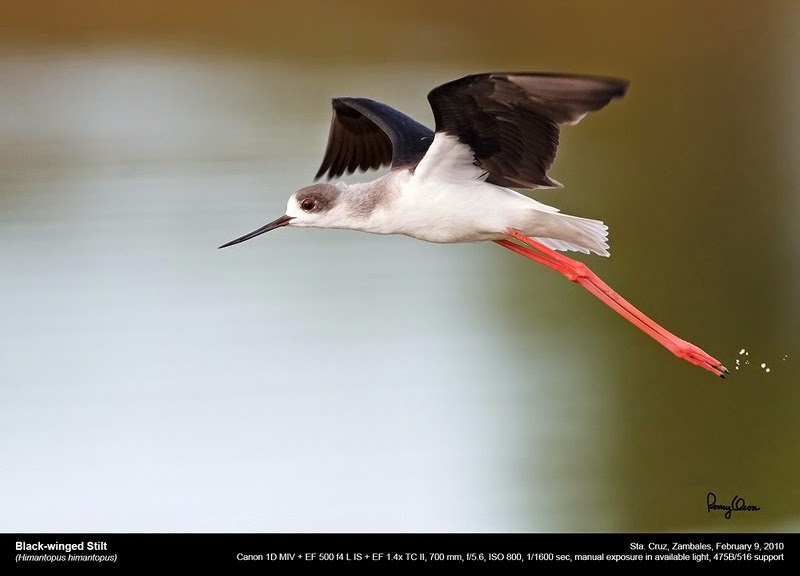 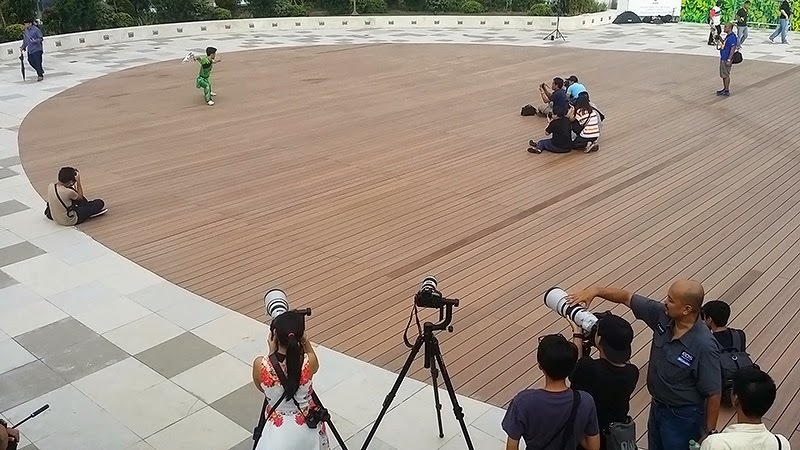 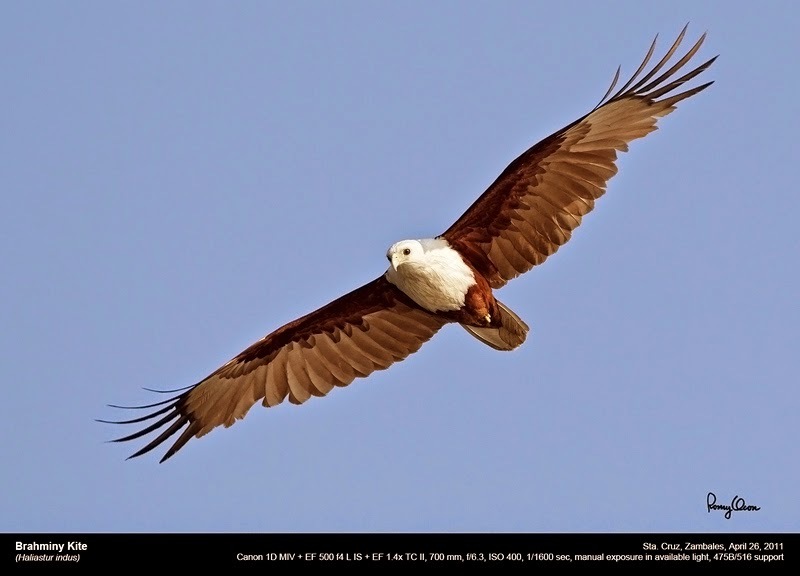 Romy demonstrates how to shoot telephoto action images using a 1Dx + 200-400 f4 IS. 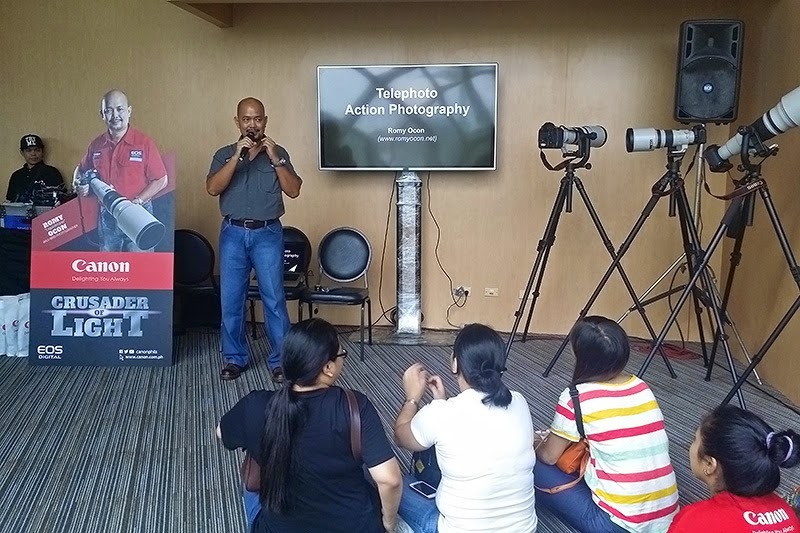 A participant gets hands-on instruction from Canon Crusader Romy Ocon.